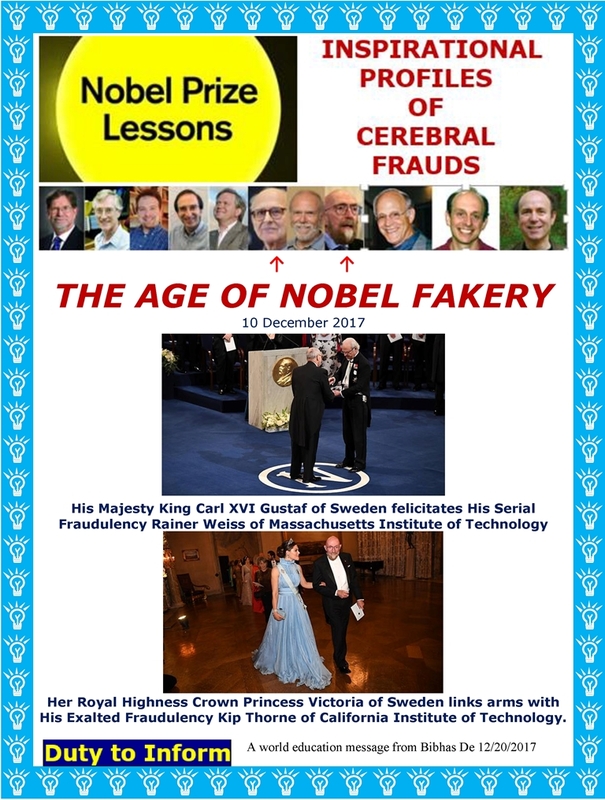 This entry was posted on December 20, 2017 at 2:49 pm and is filed under LIGO Discovery, Physicists play citizens pay, The Brotherhood of the Nobel, Uncategorized. You can follow any responses to this entry through the RSS 2.0 feed. You can leave a response, or trackback from your own site. Great work Bibhas! You have exposed so much corruption and the pushing of the fake psyence. Bless you brother, your work is heroic! I need to get copies of our books, where can I buy them!